Catching the attention of your audience with your latest brand video can be difficult. Social media platforms are littered with unsuccessful brand videos. 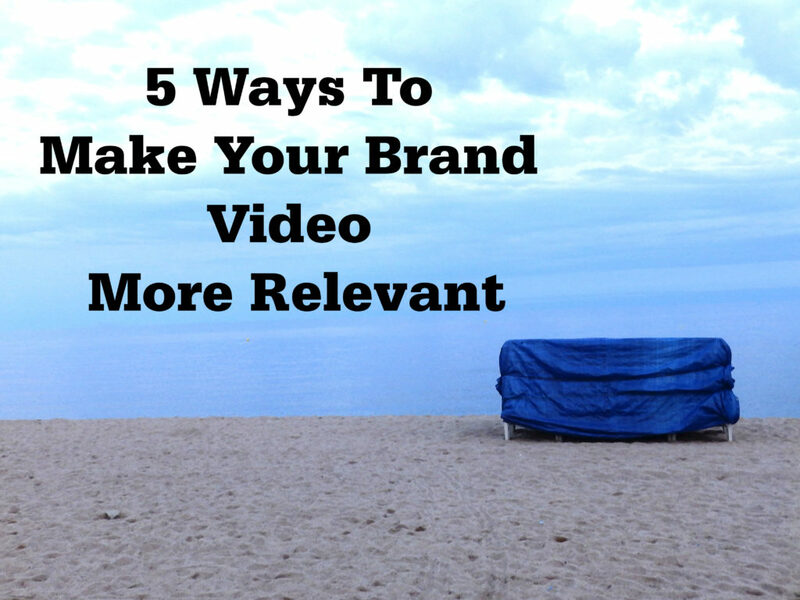 The key to creating an engaging video is to make it relevant to your audience. Creating relevant video content requires planning and understanding your audience. Below are some tips I have found useful in the past. To make your brand video relevant you need to choose a central character that will resonate with your audience. The character needs to be facing the same challenges that your audience is facing. Your audience has to see themselves in your character. By making it easy for your audience to relate to your main character you are making it easy for them to have an emotional connection with your brand. The easiest way to get your audiences attention is to relate it to a personal story. A brand that is able to tell a personal story will immediately engage their audience on a human level. People want to understand and know what a brands personality is and how it relates to their value system. By keeping it personal you are engaging your audience in a space they can easily relate to. It should go without saying, however in our attempts to make a brand video more interesting we can often stray from the truth. The irony is that by sticking to the truth our passion for our story becomes more obvious. If we are passionate about our brand story it will make our audience care more about our video. The other benefit of sticking to the truth is that in an age of extreme social scrutiny our brand video will not run the risk of being discredited. Remember customer trust is hard to earn and easily lost. To be relevant to your audience your video has to provide some sort of solution. Your audience is watching your video because they have a problem and they think you can answer it. They may want to be educated or entertained or both, they are however looking to you to meet their need. Know what your audience wants and make sure your video meets their requirements. When we have so much information available, as brands we always run the risk of over using it. However when we use data carefully it can tell a powerful story. I remember 10 years ago when smart phones were just about becoming mainstream, I was at a social media briefing to promote brand use of mobile social media platforms. One of the stats used to demonstrate how pervasive mobile usage was at the time “indicated there were now more mobile phones than toothbrushes”. This painted a visual picture of how the world was moving towards mobile technology at that time. Use your data sparingly in your brand video but allow it to tell a story. The key to creating relevant content is to engage your audience on an emotional basis. Make your brand story all about them and their problems. Tell stories that provide real solutions to their problems. Tell genuine stories, give personal insights into your brand. Choose characters that reflect your target audience and your audience will care about your video content. It really is about making your videos all about your audience. Posted in Video Content and tagged audience, brand story, Character, Data Storytelling, storytelling on November 23, 2018 by admin.